Is there a chat button module I can use on my Joomla powered site? 1. Download the Joomla 1.5 module or download the Joomla 1.6+module. 2. 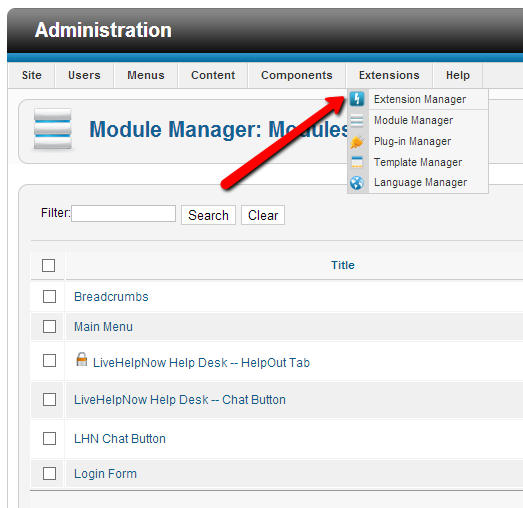 After downloading the module, login to the administrator section of your Joomla website. 3. Choose Extensions -> Install/Uninstall from the Admin Menu. 4. Under the "Uploade Package File" section choose the zip file you downloaded and click "Upload File & Install". 1. 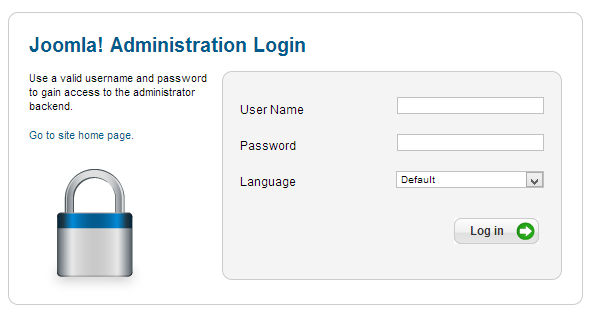 Login to the administrator section of your Joomla website. 2. 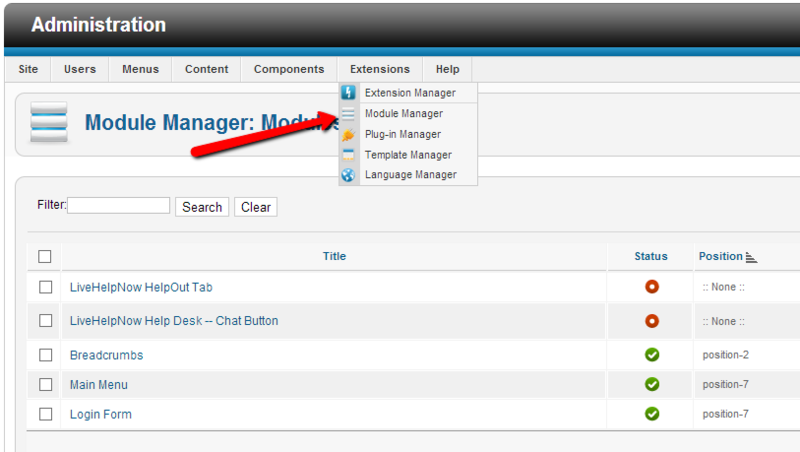 Choose Extensions -> Module Manager from the Admin Menu. 3. Select the LiveHelpNow module that has been added. 4. Assign a module position, enable the module, and fill out the "Basic Options" form, then click "Save". Note: you may have to assign the module to the "Menu Assignment". If you would like to install the HelpOut Tab plugin for Joomla, please click here.